Added handicap bathroom to existing home. 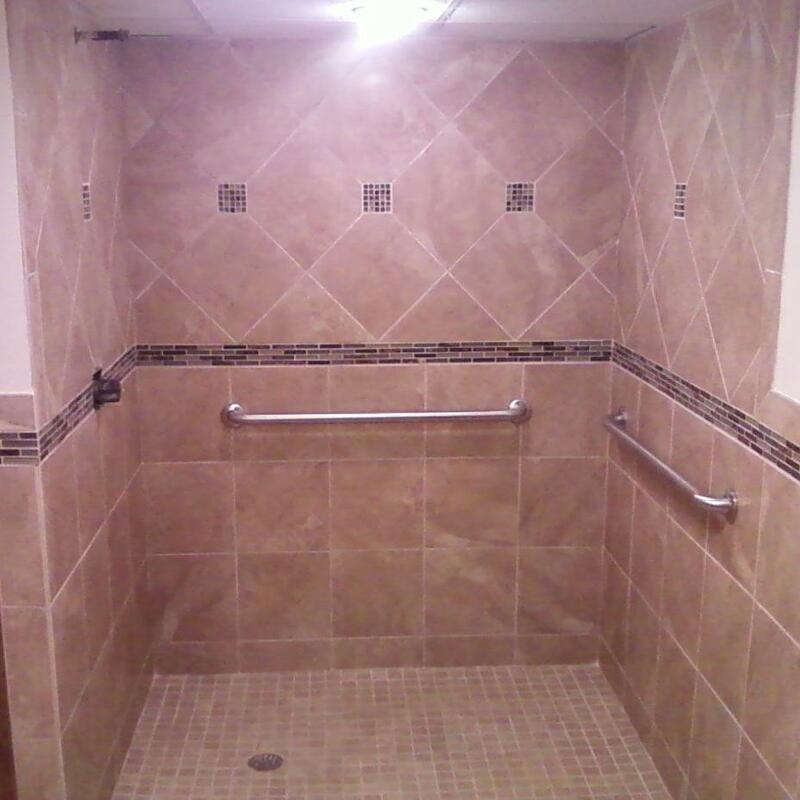 Completely tiled shower stall with roll-in floor, handicap grab rails and adjustable shower head. Also, installed handicap toilet and sink.